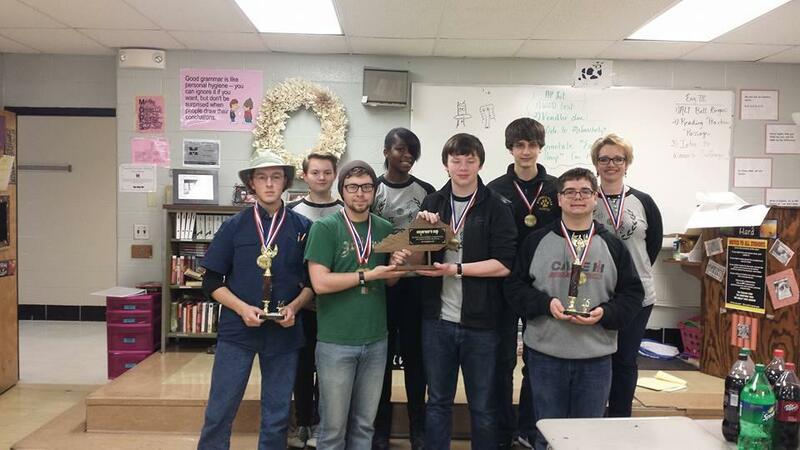 The Russellville High School Academic Team, led by Jennifer Wells Rogers and also coached by Donna Brown Wilkerson, had a very successful day Saturday at the Regional Governor's Cup held in Madisonville. The Team took Regional Governor's Cup 2nd Place Overall; 2nd Place Quick Recall; 3rd Place Future Problem Solving; Brennan Hughes Regional Social Studies Champion; and Phillip Wilkerson Regional Science Champion! 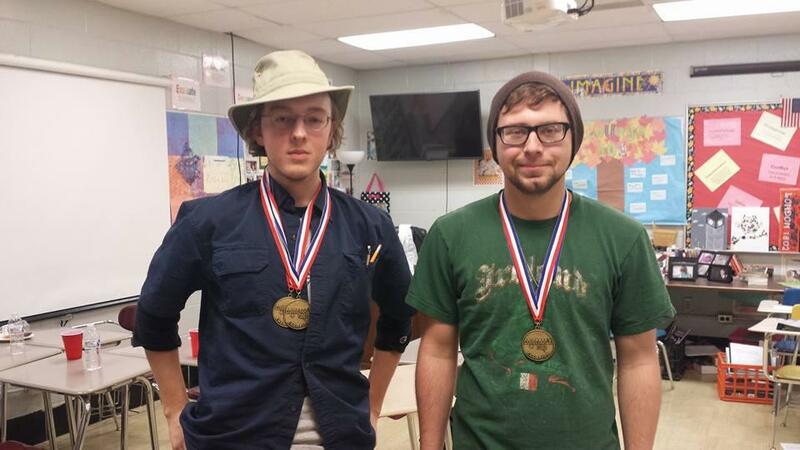 The Quick Recall Team, along with both Brennan and Phillip have earned trips to the State Governor's Cup in March! Shown in the photo, from left, front row, are Philip Wilkerson, Brennan Hughes, Will Mullen, Adam Williams; back row: Anna Shoulders, Meleah Buckner, Austin Coursey, and Coach Jennifer Rogers.